There was a time when 10,000 BTC coins would buy 2 pizzas. This was around 8 years back. Now, one can buy 6.5 M pizzas with those very 10,000 coins. 22nd May is an eventful day and is celebrated by crypto enthusiasts all across the globe. On this day, the first ever Bitcoin transaction was made- 2 pizzas were bought for 10,000 BTC tokens 8 years back. Today, if you calculate the number of pizza boxes which may be bought with that same amount, you would realize you do not have a place in this universe to store them. Currently, the price of one Bitcoin stands at $8,200 and with this amount one can buy 6.5 million pizzas, each pizza costing about $12.50. If you had to store all these pizza boxes, they would go up almost 200 miles (which is close to 300 km) in the air, as per the data provided by the foreign exchange broker Forex Time. The animated infographics provided by the Forex Time team displays the benchmarks crossed by your pizza boxes- from Dubai’s Burj Khalifa to Mount Everest to an airplane passenger before it shot into space. BTC may not have touched the moon, but it is very close indeed. With Bitcoin’s value soaring with the passage of time, developer Laszlo Hanyecz who made the initial purchase turned out to be a legendary figure in the world of cryptocurrencies. He will always be remembered as the person who handed over some incredibly valuable assets (currently valued at 82 million USD) for pizza. At the beginning of 2018, Hanyecz simulated his action through the use of Lightning Network. It is a technology which runs in correspondence to the BTC blockchain and is intended to scale up transactions. 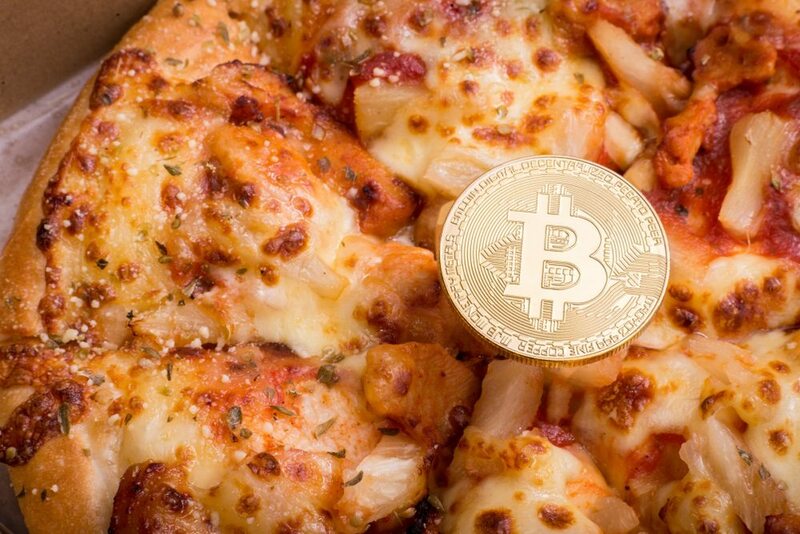 May 22, also known as the Bitcoin Pizza Day is a reminder of the very fact that Bitcoin’s value has shot up unexpectedly despite last year’s speeding crash from a ruling position of $20,000. Bitcoin, the world’s biggest virtual currency was worth nothing but mere pennies during the time the first pizza was purchased.